Less than ten years ago, in 1995, when all stakeholders of the war in the Former Yugoslavia, including Croatia what, exhausted by infighting, forgot to do – is to deal with forgiveness, despite the close living proximity to those they declared enemies. Reconciliation is imperfect, but it is necessary. And this incidentally is a rotten part of Croatian development as a state where freedom of speech is restricted, where no political figures have taken up courage to deal with truth, and where there is no division between politics and private sector development. 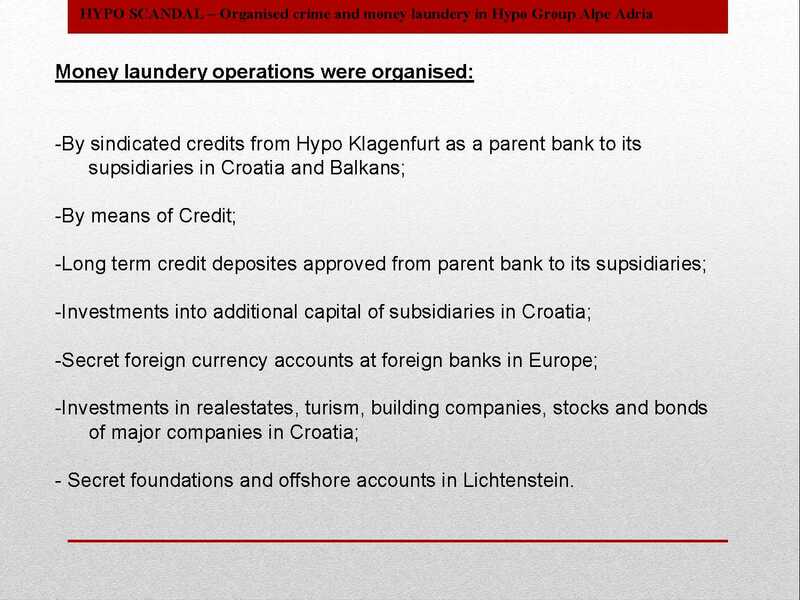 As the matter of fact, reading the below referenced 2010 report from Amnesty International one can extrapolate that the Croatian government leadership since 1995 has been full of war profiteers. 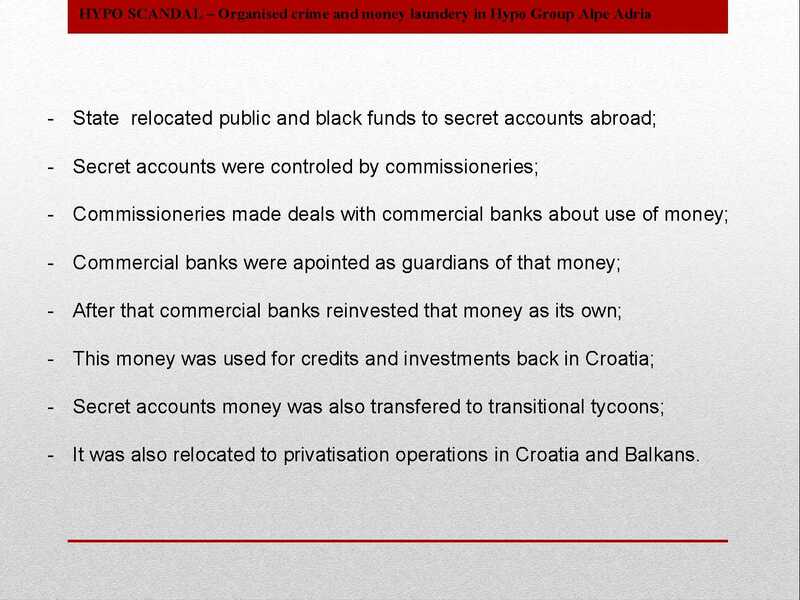 Longer the truth is closeted, more rotten it is going to continue to be in the State of Croatia. Croatia, however, can thank independent journalism for bringing that much needed truth up on the surface. Why, every war begins because of money, but in the Balkans people have been duped to believe that it is because of ethnic hatred. So they continue to hate. 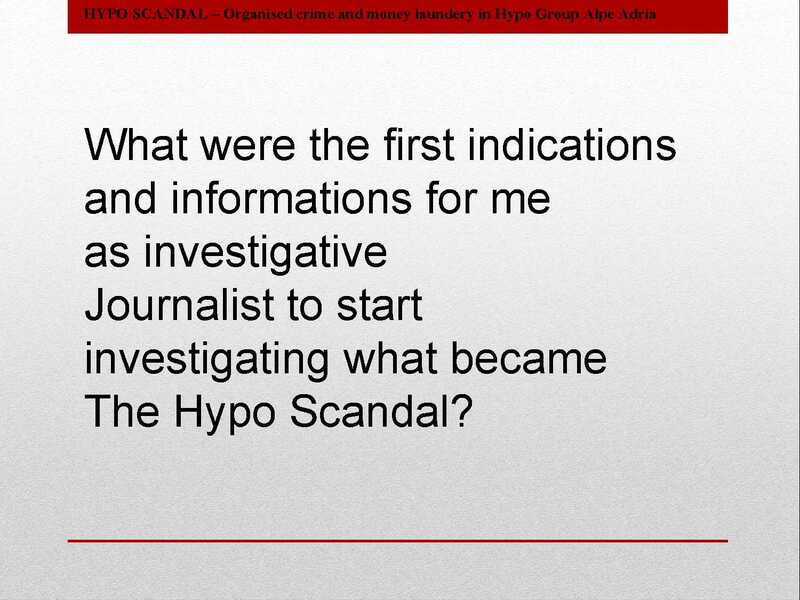 Thankfully, the profiteering and monetary flows have best been described by Hypo Affair uncovered and documented, by an investigative journalist Domagoj Margetic (Sign Change.org petition to support Domagoj. So now, they can stop hating. But they don’t. Indirectly, what Margetic has begun is inklings of Truth Reconciliation Commission, whose members are himself and a clan of dedicated truth seekers across the Balkans. Incidentally, the ‘truth seeker’ is on Hunger Strike because he is Black Listed by the Croatian Government. 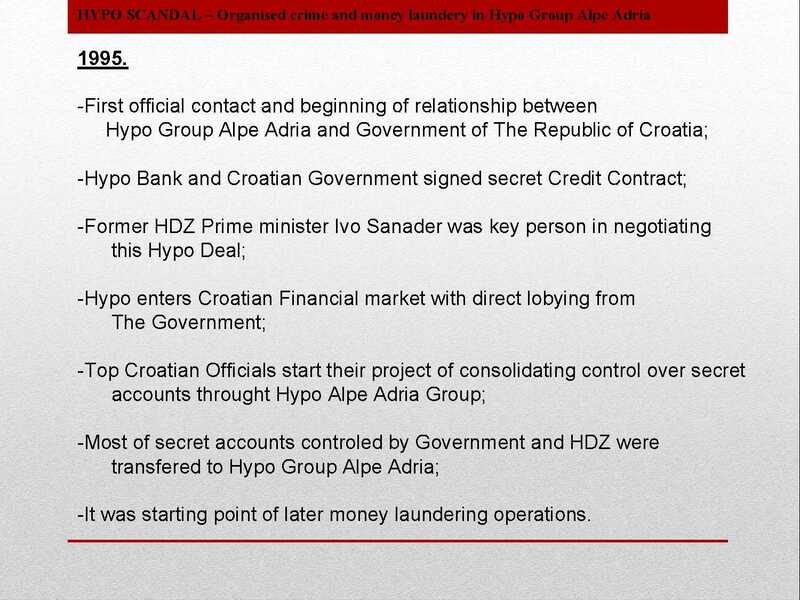 It is safe to say that on the top of Croatian pyramid known as Hypo Group Alpe Adria Affair (there is an Austrian scandal associated with this bank as well), one can find involvement of three political parties led by the Croatian Democratic Union (HDZ), Croatian Social Democratic Party (SDP), and the Istrian Democratic Assembly (IDS). 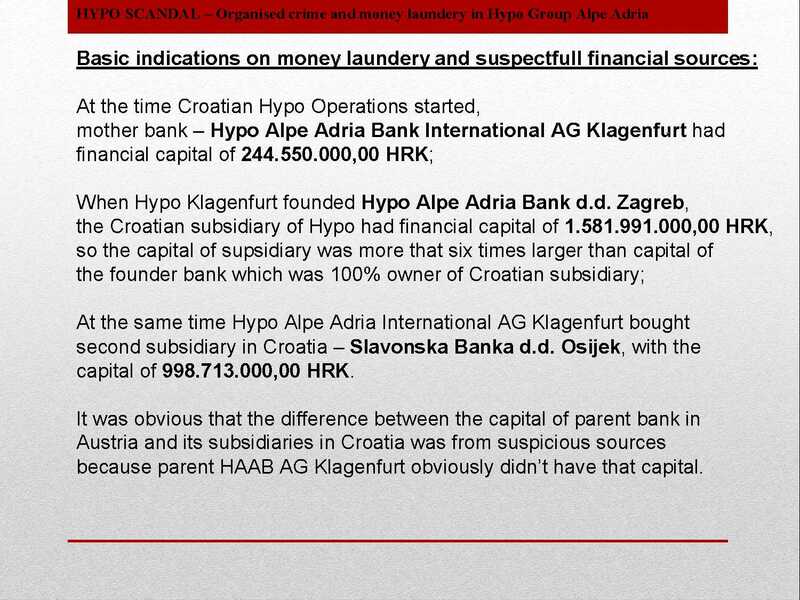 According to Margetic’s research (please watch the video with English subtitles) and documents that he has in possession about EUR 100 Million of Former Yugoslavian money, half of which belonging to Croatia, have been laundered and about 200 elite Croatian families have gotten rich as a result of this. 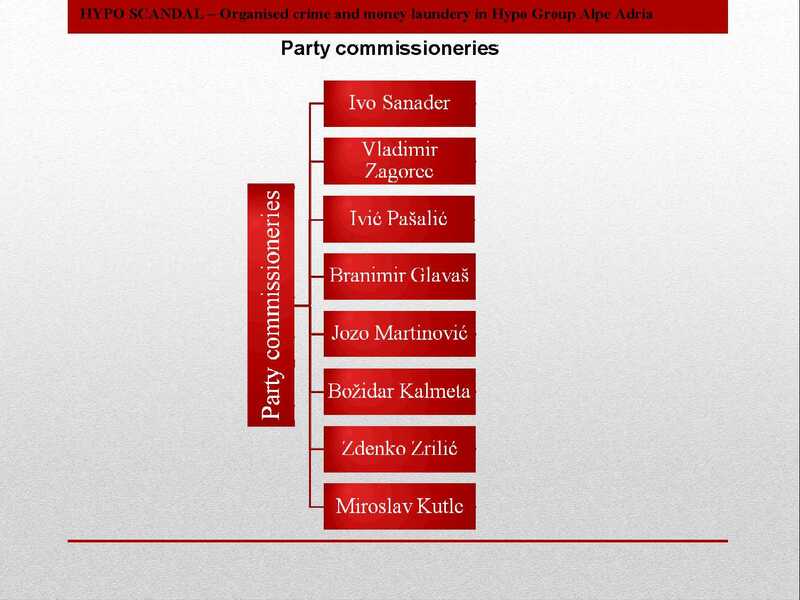 An example is provided of Ivo Sanader. 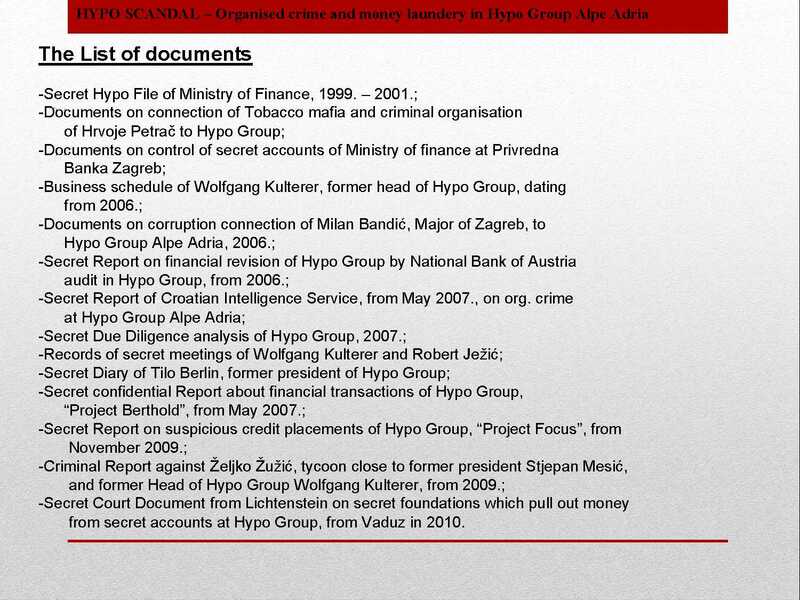 Margetic’s investigative journalism brought down Ivo Sanader, former Croatian prime minister and the former president of the Croatian Democratic Union (HDZ). 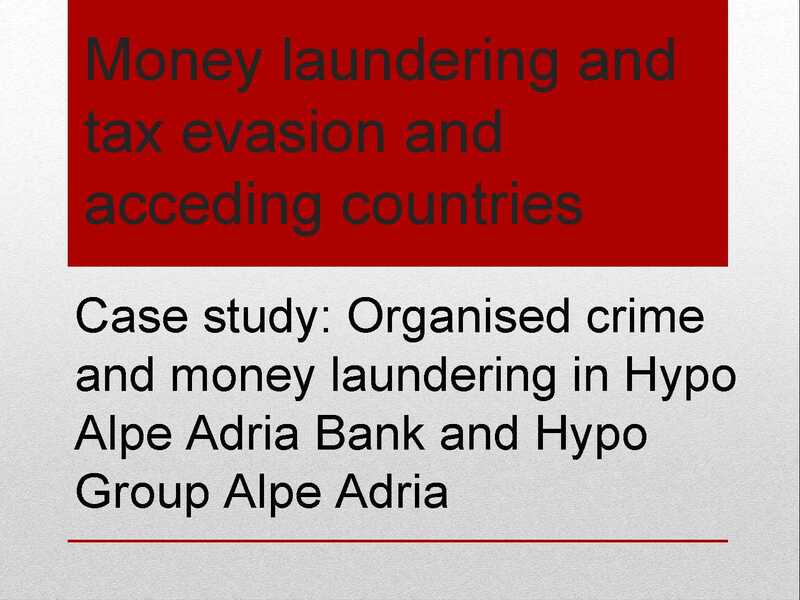 Sanader has allegedly received nearly $700,000 in bribes by Hypo Group Alpe Adria Bank for arranging a loan in 1995. He has been accused of war profiteering, and has also been accused of receiving EUR 10 million in bribes from the CEO of the Hungarian oil company MOL, Zsolt Hernádi, to secure MOL a dominant position in the Croatian oil company INA. 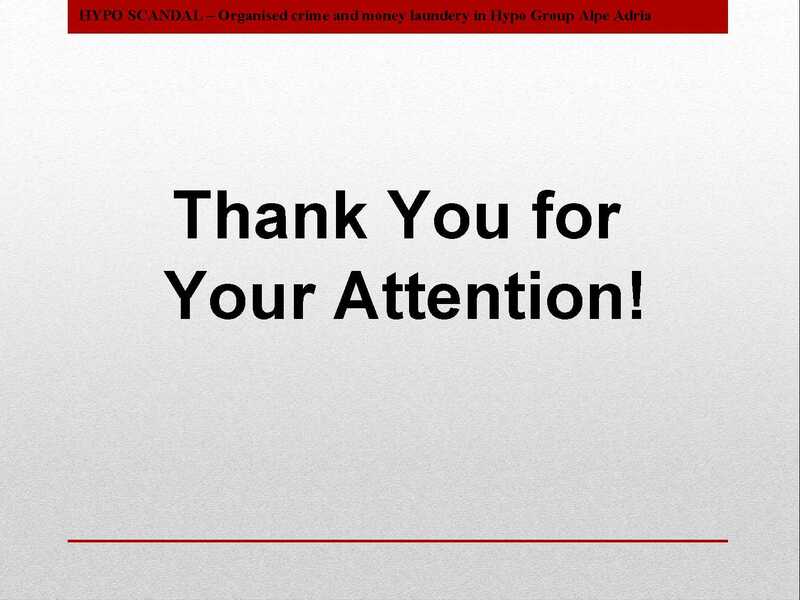 This pyramid scandal has everyone involved. 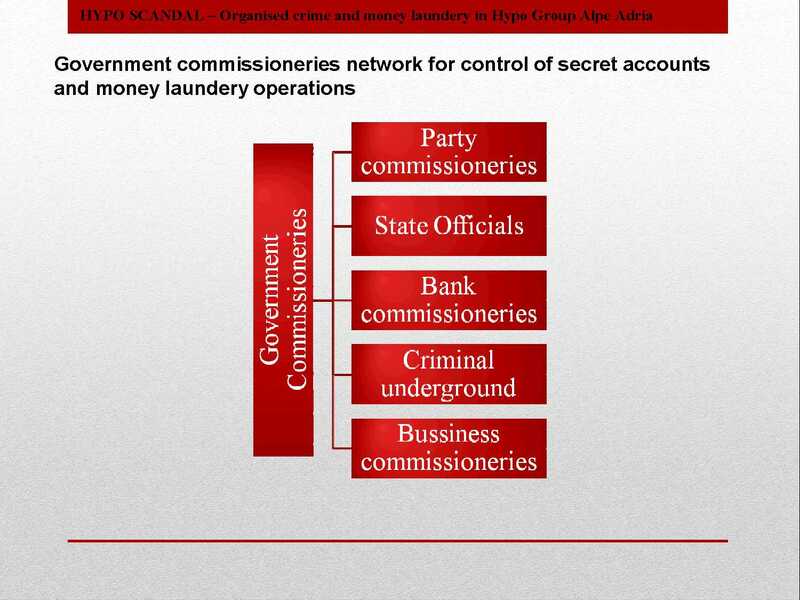 Just ask Domagoj Margetic, and he will give you 20+ names of major politicians, 35+ names of major tycoons and other key people involved in the Hypo affair. 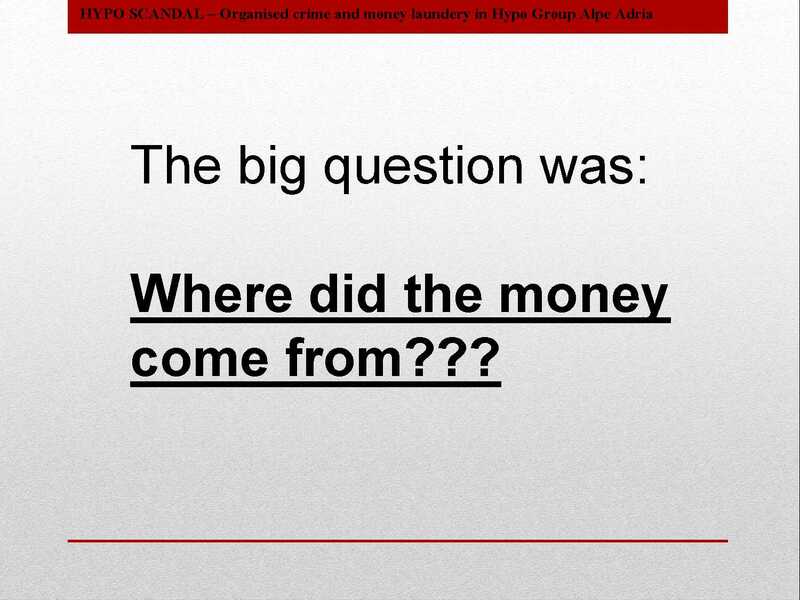 Whom did the bank grant secret loans to? 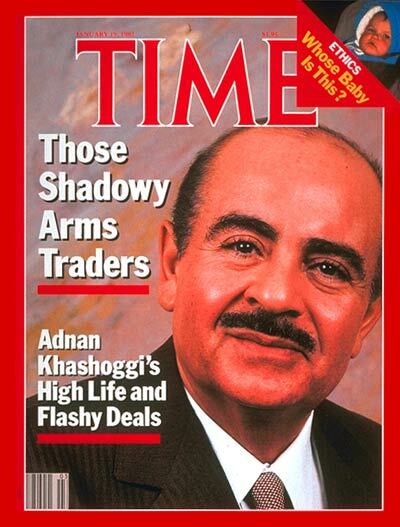 Below, you will read about inability of political elite to deal with the legacy of the war, including war profiteering. Unfortunately this has been the case with a large chunk of Croatian people. 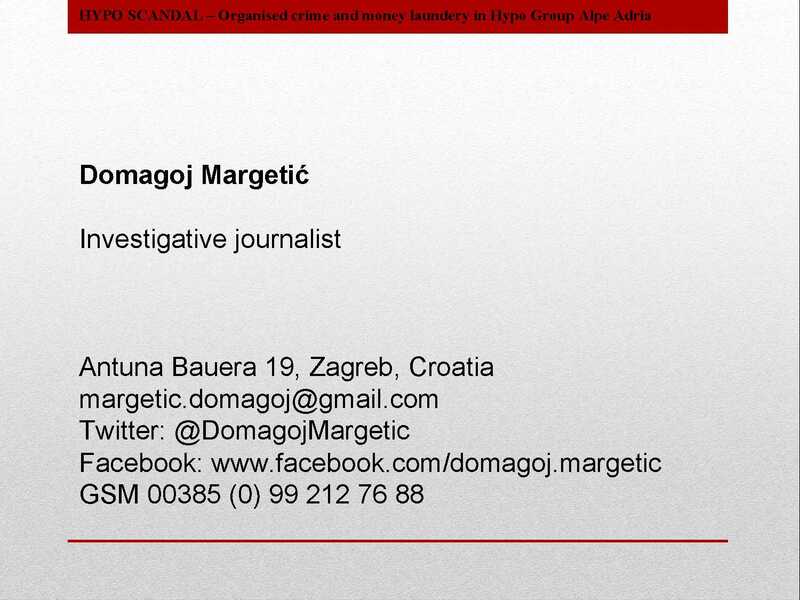 Domagoj Margetic has been called a Serbian agent, a follower of Serbian World War II monarchist paramilitary army (‘cetniks’), etc. The lack of political elite to release information, provide apologies, establish whistle blowing laws for the companies (which are sometimes government-owned, and at other times formerly government-owned) and media (support a Petition to Establish a Whistleblowing Law in Coratia) is affecting Croatian people drawing them into ‘group-think.’ Croatian elite has done very well in psychologically controlling the masses. This is why smart, free and independent journalists, like Domagoj Margetic, find themselves on the brink of starvation. Whereby in America, he would be earning millions of dollars from his investigative journalism work, in Croatia Margetic, will be allowed to starve to death. 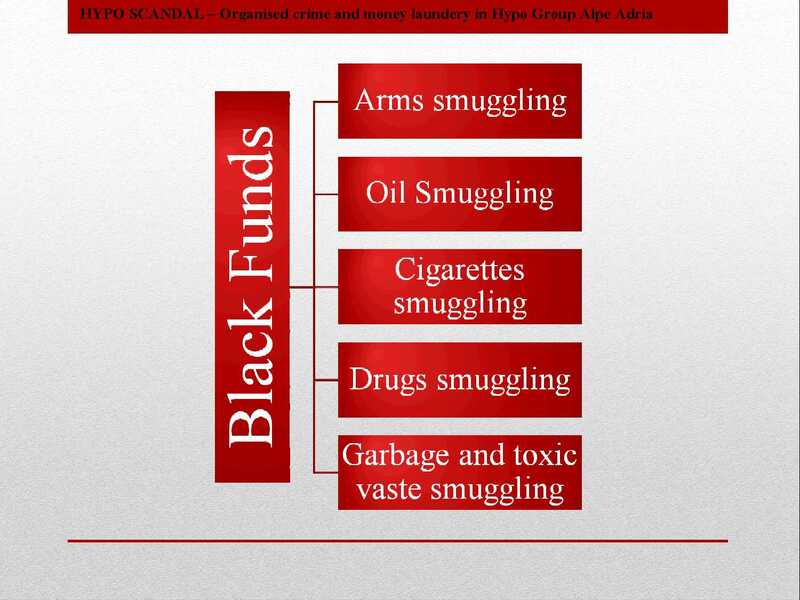 Now back to Amnesty International report issued in 2010 (three years ago). While some references may be outdated, facts and recommendations provided remain, and they call as does this blog post for some serious thought to Croatia needing to belong on international human rights watch. 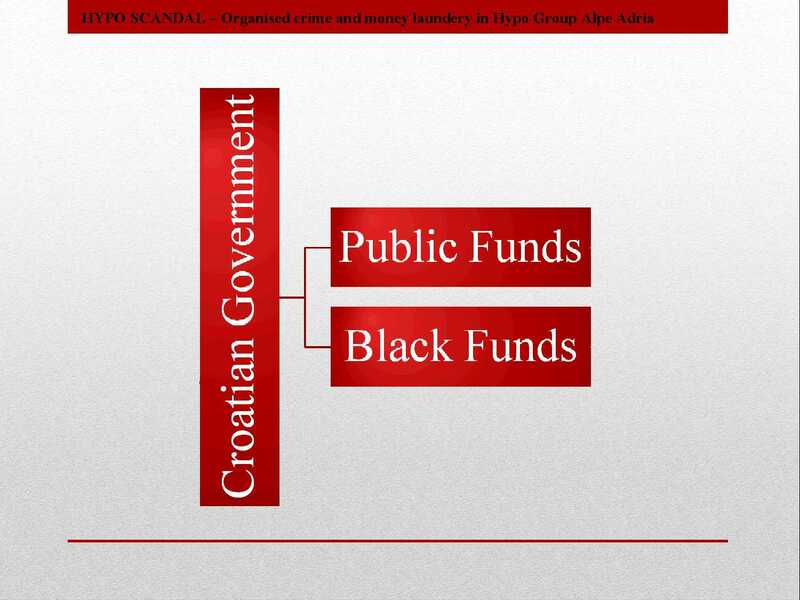 Having said that, the organization continued to be concerned that measures that have been implemented in Croatia did not translate into tangible effects. The lack of political will in Croatia to deal with the legacy of the war. And this is the ‘rotten’ part where the focus of this blog post will be placed. How are politicians not dealing with past? When the three Croatian Army generals (Ante Gotovina, Ivan Čermak and Mladen Markač) were awaiting their trial in The Hague, the government of Croatia, instead of distancing itself from the case, asked the International Criminal Tribunal for the former Yugoslavia (ICTY) in September 2006 to be allowed to act in the capacity of amicus curiae in the case. They were rejected. 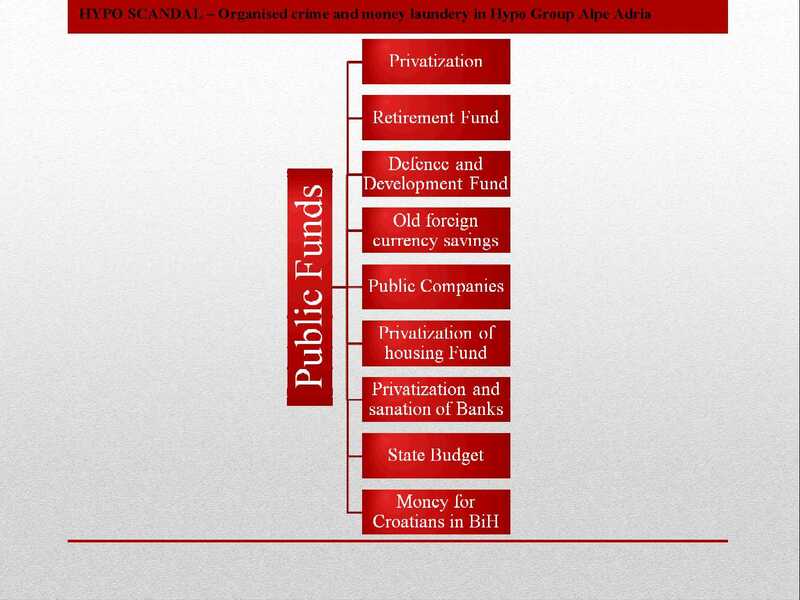 This makes everyone externally extrapolate that Croatian government is full of war profiteers. 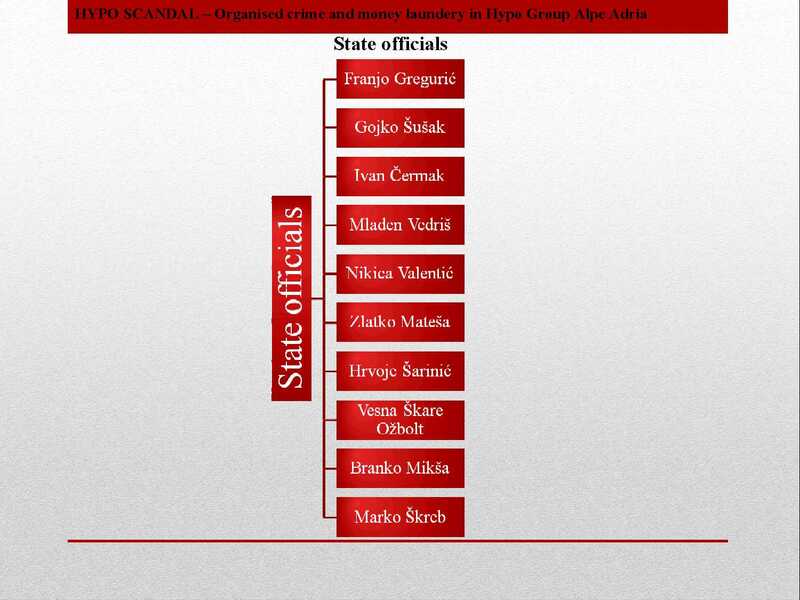 Amnesty International was extremely concerned about the political involvement by some of the highest officials in the country, in the case of Branimir Glavas, Member of the Croatian Parliament, preventing the course of justice, whereby Government waived his detention during prosecution. 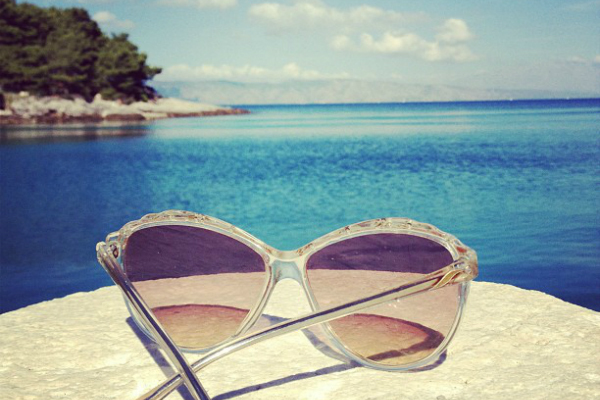 On the day of the verdict, the accused fled to Bosnia and Herzegovina, which citizenship he acquired in the meantime. 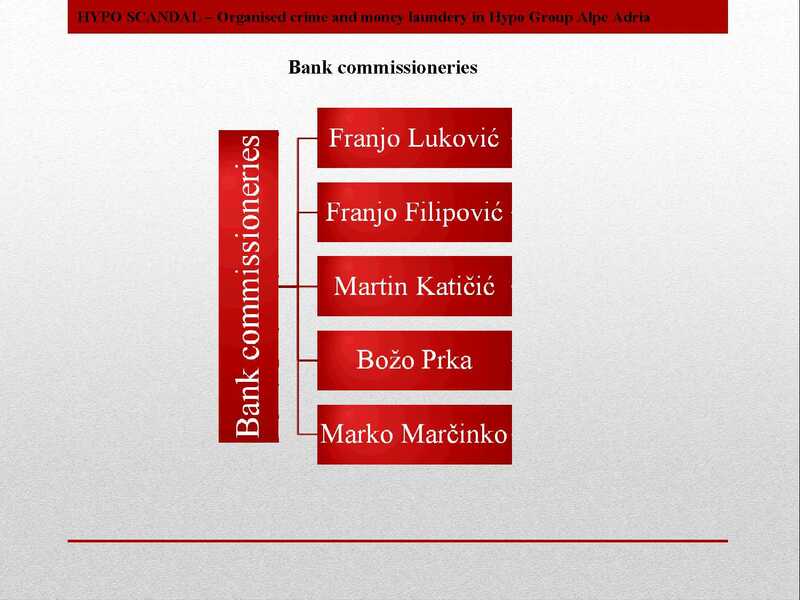 Based on the agreement on mutual execution of criminal sanctions between Croatia and Bosnia, Glavas was finally arrested in Bosnia on September 28, 2010. His seven medals were taken away. As a result, political figures are undermining efforts to ensure reparation for all victims of the wars. Amnesty International recommends that calls on Croatia to, in line with the United Nations Basic Principles and Guidelines on the Right to a Remedy and Reparation for Victims of Gross Violations of International Human Rights Law and Serious Violations of International Humanitarian Law, undertake immediate efforts to grant the victims the right to reparation, including an official apology, for the war crimes which, beyond any doubt and as confirmed by the ICTY, have been committed by the Croatian military and political officials.